What an amazing journey to the Primary. This is YOUR Victory! This could not happen without each and every one of you. Thank YOU! Today the 23rd Congressional District is sending a clear message not only locally but across the nation that politics as usual is no longer acceptable. We worked hard and we won. We did it through determination, passion, and a clear sense of how to unite a community. We have been able to achieve the goal of winning this primary with a positive campaign and I’m proud that we have encountered common purpose, even when it seems at times that this country is divided. As a community we have more in common than we think. I am grateful for my family, my husband, son, and mother for being my support system. I love you deeply. Thank you for your patience and resilience. Thank you to the California Labor Federation and the Kern, Inyo, and Mono Counties Central Labor Council for committing their efforts to regain our voice in Congress. I couldn’t have done it without you. To our amazing Democrats who volunteered countless hours of their time to make this positive change happen. I’m extremely humbled and grateful for your support and energy. I also thank Republicans and Non Party Preference voters in the district that have opened their doors to get to know me and my values and are willing to put their community before party loyalty. I’ve received many messages of encouragement, empowerment, and support about the work we are doing and the kind of campaign we’ve developed. I’m looking forward to a general election campaign that will empower more women to run for office because in the Central Valley we need them with a seat at the table. There is no room for judgment based on how people look, or who they love, or what choices they make. The people in our district are inclusive, compassionate, and kind and we WILL move forward together. 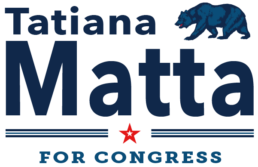 We are now facing a big challenge, defeating Kevin McCarthy in the General Election; we are ready to work to WIN THIS DISTRICT BACK, for all of us in the 23rd. Indeed this is not going to be easy and we will have to put a lot of work to reach out to our community. But WE can do it. Together. We need action now and this is how we make change happen. This race has always been about the people. From healthcare and job creation, to quality public education and supporting people who feel neglected and forgotten, our communities deserve better and I will be ready to create progress from day one. Our people deserve to be heard and I’m running to make sure that Capitol Hill no longer turns a blind eye to the Central Valley. I’m in this to win; I’m in this for you. And I’m in this for our country. Get some rest because we are starting now a new race towards November. Let’s get to work! If you are interested in getting involved or volunteering, let us know. We'll keep you updated on all campaign opportunities! Our communities deserve a representative who will fight for families in Congress. With every contribution, we are one step closer! This campaign is powered by the people for the people.  Join the list of individuals who have endorsed Tatiana Matta for Congress. California's 23rd Congressional District consists of most of Kern and Tulare Counties and the Northeastern Los Angeles County. Check here to see the district boundaries. The deadline to register to vote for any election is 15 days before Election Day! Online registration is fast & easy!